Cyborg Dynamics Engineering utilises the best multidisciplinary team of engineers to provide superior products and services. With a proven track record in developing bespoke engineering products requiring a multidisciplinary team, cyborg dynamics can help you turn your idea into a reality. We have a variety of engineering tools available to perform detailed analysis of problems such as Computational Fluid Dynamics, Structural Analysis and control systems modelling. If you need your designs certified for being developed in accordance with relevant standards we can provide you with the necessary engineering sign off for mechanics and structures. 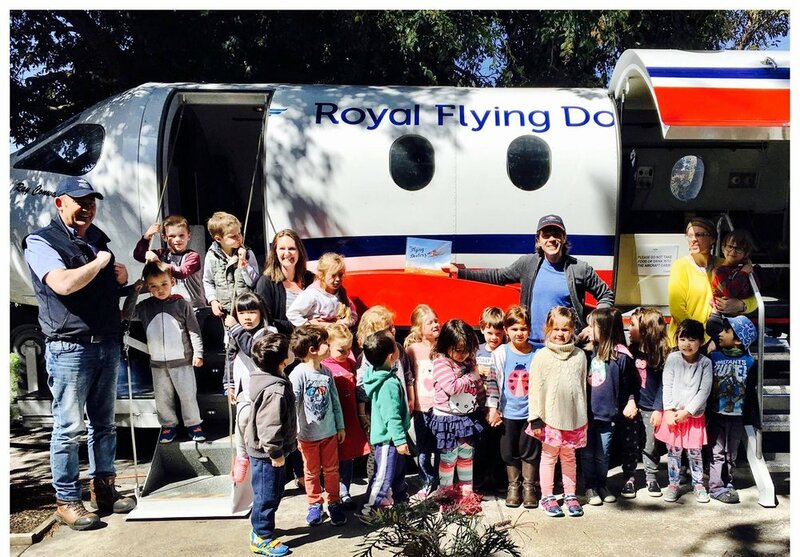 In 2014 the Royal Flying Doctors Service identified that there was an opportunity to enhance their education experience by improving their fuselage demonstrator. Cyborg Dynamics CEO Stephen Bornstein proposed the kids could have a hands on experience with flying simulated missions. The Cyborg dynamics team developed the technical solution in collaboration with RCM studios for the interactive cockpit simulator. RCM studios completed the Fabrication and Cyborg Dynamics Engineering provided engineering and systems support. In 2016 the new and upgraded simulator went to 200 schools across Victoria and Tasmania and increased community engagement by 150% at the Melbourne show compared to its previous year. A rhino is killed every 8 hours in South Africa. It is extremely challenging for rangers to cover the large quantities of ground required to successfully intercept poachers. The cyborg dynamics team partnered up with the IAPF in the development of a UAV platform for intercepting poachers in the Mozambique and South Africa regions. The services includes systems integration of flight control auto pilot, mechanical design of payload retraction mechanism, computer vision algorithms for tracking and finished with flight testing. Blob detection algorithms used to discriminate animals from thermal imagery. Cyborg Dynamics provided technical advisory and project management to JAR Aerospace as part of the defence innovation hub priority notice for Small Unmanned Aerial System (SUAS) replacement to the WASP UAS. This project was a 10 week project where cyborg dynamics managed a team of airframe design, computer vision, Guidance Navigation and Control, communications, ground control systems, payloads and electronics. Cyborg Dynamics was also responsible for the system specification and military engagement to capture the relevant requirements. The project was delivered on time and on budget to the capability manager of UAS of the Australian Army in June 2018. Cyborg Dynamics was contracted to provide technical consultancy on bird strike protections for Commercial Off the Shelf (COTS) UAVs. After a detailed analysis of a variety of technologies including collision avoidance sensors and acoustic sensors, Cyborg Dynamics designed a blade protection cage to clip onto existing platforms using aramid/carbon fibre sheet for lightweight shock protection. This combined with carbon fibre blades was found to significantly improve the survivability of quad-rotors which are unable to sustain a rotor blade failure due to no redundancy. The design allowed for waterjet cutting and jigsaw ease of assembly. The Cyborg dynamics engineering team have conducted the necessary stress analysis for RCM's creation 'The Bottles' to be placed at Bondi Beach for 2 weeks as a temporary structure. This involved stress calculations by hand and validated with FEA. The results of the analysis was used for reinforcing the structure in accordance with the relevant building standards for wind loading. This design involved the structural certification of a 5000L Aquaculture rainwater tank into a plunge pool. The pool was required to be deemed structurally sound which required a reinforced steel frame to handle top loads during entry and exit. The pool was successfully certified in Feb 2018. The design is now a service offering to the rain water tank company, providing a cheaper alternative to customers wanting a pool at an entry price of under $10,000 fully certified. The grenade launcher fire control system uses a laser range finder to measure the distance to the target within 1 meter and then adjust the sight elevation accordingly. This allows the standard M203 40mm high explosive grenade to impact within 5 meters of the target compared to iron sights which can only achieve within 25 meters. This represents one of the largest innovations in this weapon system since it was introduced in the Vietnam war. A soldier will now use on average 3 times less ammunition to get rounds on target. MKII system integrated onto an M4 with M203 and PEQ15.